On November 10th, 11th and 12th, the 25th CEAA Conference in Drummondville was held. 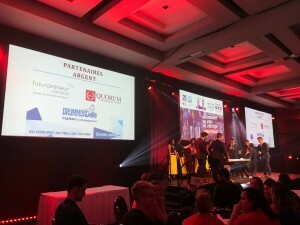 Over 600 participants attended the largest student entrepreneurship event in Quebec. 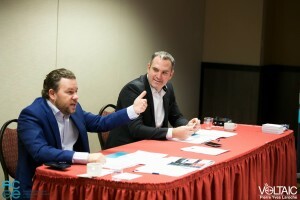 Groupe Quorum was a proud sponsor of this event. Maxime Laporte, Director of Development, Sales and Marketing at Groupe Quorum, is proud to be a member of the Board of Directors of the Quebec Association of Student Entrepreneurs Clubs (CEAA). He was also part of the symposium as a member of the jury in the final of the contest '' Pitch ''. We believe in the emergence of an entrepreneurial succession and can only encourage young enthusiasts in the pursuit of their interest.